There is something downright vicious going on out there today. Everybody is passing judgment on you. They are assigning worth to you by measuring your performance. Your boss is criticizing you. Or, if you are the boss, the board has set the date for your annual performance review. Everybody's a critic! Okay, there is a certain legitimacy to it. People can't be carried on the payroll who don't perform. Incompetent persons in critical roles gum up the works for everybody else. Accountability is a good thing. But some things that are done in the name of evaluation and accountability are mean, hateful, and destructive. When you know God loves you, feel secure in his acceptance, and experience the peace that comes from that relationship, you begin to understand how to relate to other people. You love your children on the model of God's love for you. You build the key relationships of your life on acceptance rather than skepticism. That is, you assign worth to persons as persons and refuse to make others feel they must earn your love by measuring up. All of a sudden, you can learn from your mistakes rather than being crushed under their weight. 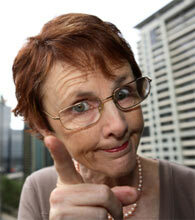 You can hold others accountable and still treat them with respect and affirm their worth. You will even develop the ability to distinguish a cold from cancer — treating only the really serious things seriously and otherwise letting some things slide that don't deserve to be blown out of proportion. Therefore each of you must put off falsehood and speak truthfully to your neighbor, for we are all members of one body. "In your anger do not sin": Do not let the sun go down while you are still angry, and do not give the devil a foothold. Anyone who has been stealing must steal no longer, but must work, doing something useful with their own hands, that they may have something to share with those in need. Do not let any unwholesome talk come out of your mouths, but only what is helpful for building others up according to their needs, that it may benefit those who listen. And do not grieve the Holy Spirit of God, with whom you were sealed for the day of redemption. Get rid of all bitterness, rage and anger, brawling and slander, along with every form of malice. Be kind and compassionate to one another, forgiving each other, just as in Christ God forgave you (Ephesians 4:25-32). 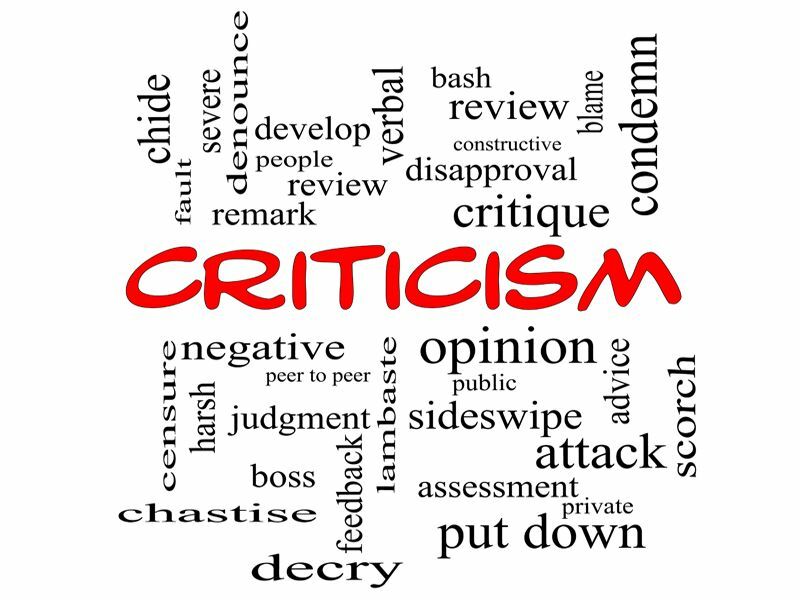 "A Caution about Criticism" by Rubel Shelly is licensed under a Creative Commons License. Heartlight encourages you to share this material with others in church bulletins, personal emails, and other non-commercial uses. Please see our Usage Guidelines for more information.